The holiday season is upon us. This means we will be seeing a lot more yams and/or sweet potatoes on our plates. But, have you ever wondered what the difference is between these two? Is there is even a difference? Well, I researched this and the answer is “yes” and “no.” Before you get confused, let me explain. Sweet potatoes can range in color from orange, white, yellow, light brown and even a hue of vivid purple! They are one of the most nutrient dense (and remarkably low calorie) foods available. They are high in vitamin A, which aids in great eyesight. 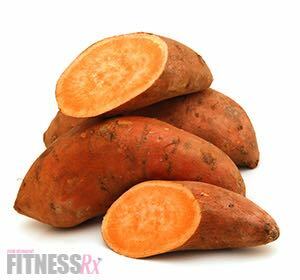 Sweet potatoes contain several other vitamins and minerals in amounts not found in yams. Thus, the sweet potato has been deemed a “super food.” Comparatively, sweet potatoes contain significantly higher amounts of vitamins such as calcium, iron and vitamin E. In fact, they pack twice as much protein as yams. The sweet potato’s nutritional value is astounding. 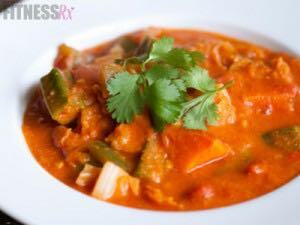 Sweet potatoes also have anti-inflammatory properties, are a great source of antioxidants and have a low glycemic index. 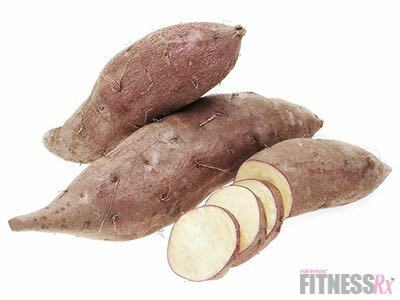 Like their distant cousin the sweet potato, the yam also has a low glycemic index. 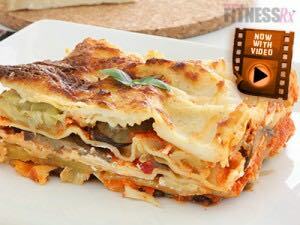 While the nutritional value is not as high, it still makes for a healthy side dish. However, yams do have a slightly higher omega-3 fatty acid content. Yam tends to be dryer and starchier than the sweet potato. The easiest way to distinguish a yam from the sweet potato is by the skin. The yam has thicker, more textured, bark-like skin and tends to be longer. In fact, they can grow as long as 7 feet! 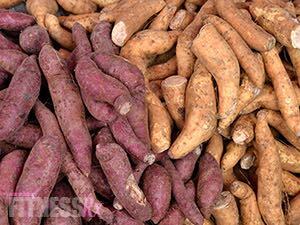 The word “yam” has been thrown on labels of many “sweet potatoes” as a marketing tool. This means you might think that you are eating yams, but in reality, they are probably sweet potatoes. Actual yams are a lot harder to find in your every day grocery store. 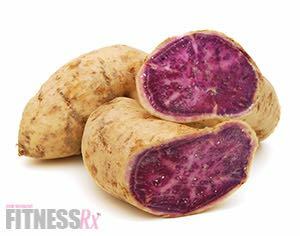 You will more than likely have to go to an international market to get your hands on a real yam! The U.S. Department of Agriculture requires the term “sweet potato” under the word “yam” if what you are buying are actually sweet potatoes. 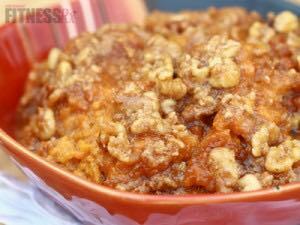 So, more than likely that sweet orange vegetable that you see on your plate this holiday season is a sweet potato packed with yummy, healthy goodness! Ashley Kaltwasser is the three-time Bikini Olympia Champion and two-time Bikini International Champion. She is a Team Gaspari, Better Bodies and MuscleEgg athlete, sponsored by Liquid Sun Rayz & a former collegiate track athlete. Ashley believes that serious fitness doesn’t have to be boring. 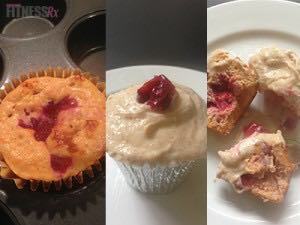 In her “Keep it Fresh” column, she share ways to keep your training and nutrition fun and flavorful. Salt is NOT the Enemy! Miracle Noodles: Do or Don’t?